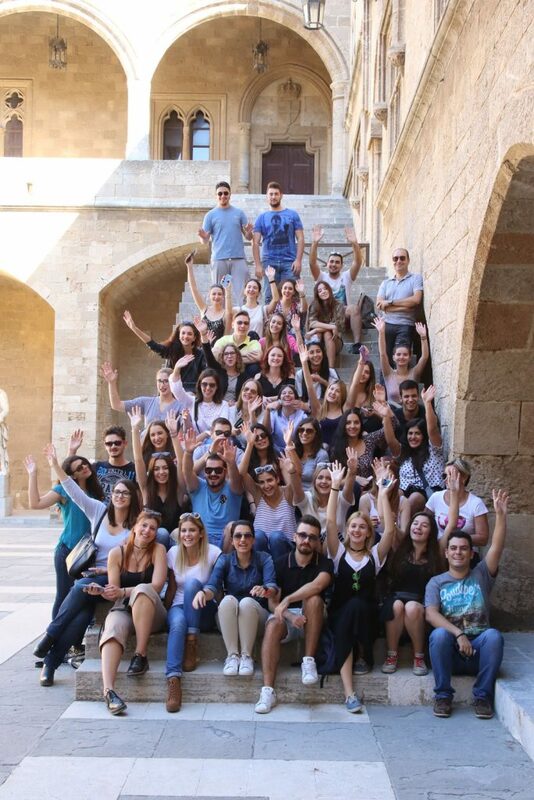 The awarded and prestigious Rhodes Model Regional Co-operation or RhodesMRC returns this year with two separate editions, offering to the world academic community unique simulations of international regional organizations and the amazing experience of Rhodes, a top destination, with the experience of having served more than 1200 students from 22 countries. The 8th RhodesMRC will take place in Rhodes, Greece, October 11-15, 2017, for the university level – open to students and graduates -, and November 09-12, 2017, for the high school level – open to grades 9-12. 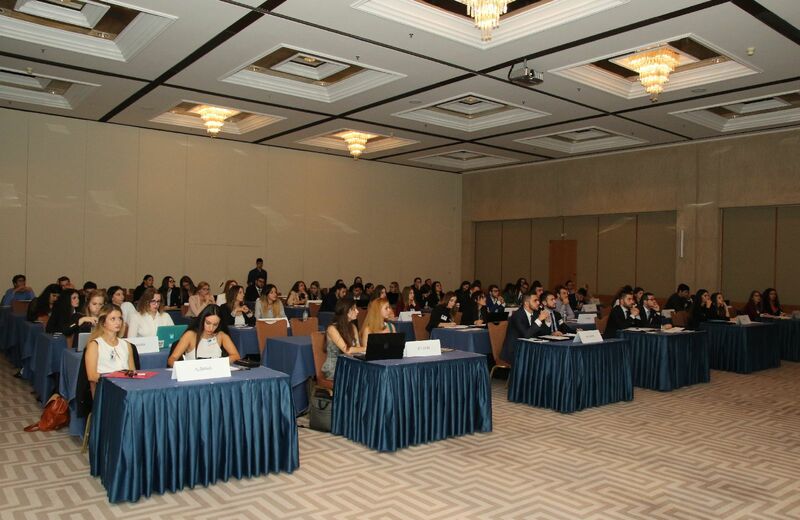 Students, young scientists of law, political science or international relations and diplomats or just international relations “fans”, gather together in Rhodes every year to simulate the works of the organs and committees of a regional international organization, gaining valuable experience on negotiations and resolution making. Being academically innovative and challenging, RhodesMRC is dedicated to Regional Co-operation. During its seven years of run, it has provided the international academic community with unique simulations of the Union for the Mediterranean, the Black Sea Economic Co-operation Organization, the Organization for the Security and Co-operation in Europe, the North Atlantic Council and the EuroAtlantic Partnership Council of NATO, the Organization of American States, the African Union, a Middle East Peace Conference and the Council of Europe, while this year it adds the European Union, the League of Arab States and the Asia Pacific Economic Cooperation to its offerings. • being the cornerstone of the House of Europe in Rhodes award by the Parliamentary Assembly of the Mediterranean, in 2012. Further developing its always current theme “Towards effective peacebuilding and sustainable development on a regional level”, from 2017 onwards, RhodesMRC will honor and commit itself to the accomplishment of the Global Goals for Sustainable Development, as set by the United Nations. Our whole organizational model, our agenda topics and our attitude as a conference, are constantly adjusted to become more relatable to the Global Goals, in multiple direct or indirect ways. RhodesMRC 2017 will further honor and participate to the International Year of Sustainable Tourism for Development, as celebrated by the World Tourism Organization, being a fine example of academic tourism and an incubator of young travelers that learn to cherish diversity and respect cultural heritage. RhodesMRC 2017 is being organized by the House of Europe in Rhodes. The Region of South Aegean, the City of Rhodes, the Dept. of Mediterranean Studies of the University of the Aegean, and the European Network for Education and Training, e.V. – EUNET serve as organizing partners. The International Center for Black Sea Studies, the Center of International and European Studies of Kadir-Has University and the Institute of European Integration and Policy serve as academic partners, while RhodesMRC is strongly affiliated with the ThessISMUN, Europa.S, FredMUN and SheffieldMUN conferences. A highly-experienced Organizing Committee is in charge of all aspects of running such a demanding task. A Scientific Committee of 25 professors, academians and experts from 10 universities from 4 countries are supervising the simulation preparation that will be run by a skilled Board of young scientists, students and professionals. RhodesMRC 2017 will be the 8th University Edition of the Rhodes Model Regional Co-operation, a conference simulating the works of regional international organizations. Growing from 2 committees and 50 participants in 2010 to 9 committees and 500+ available seats for 2017, RhodesMRC was always about innovation and expanding as to include everyone. 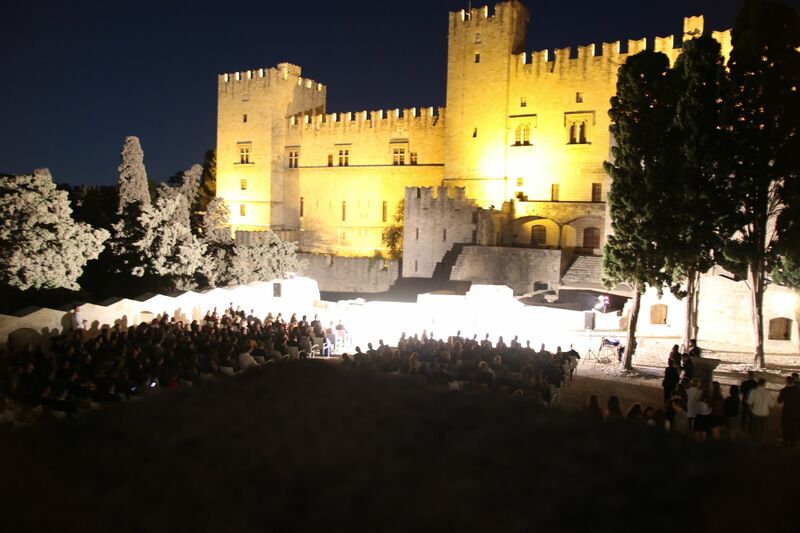 Till today more than 1000 young students and professionals from 22 countries have visited Rhodes for five days in October to have an amazing academic experience, develop their skills, entangle in a benefiting intercultural exchange, in one of the most amazing heritage backdrops available. 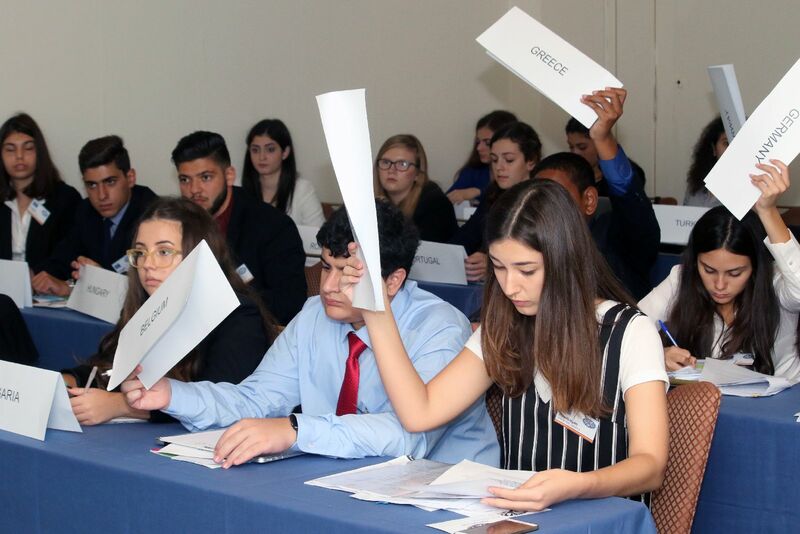 For its 8th Edition, RhodesMRC, has split the University and High School conference in two completely separate events, in order to facilitate the participation of more participants in both. RhodesMRC 2017 has been designed with specific targets in mind: 1. Maximize the possible number of participants, 2. Further diversify its set of simulated organizations, 3. Be representative of almost every region of the world. With 9 committees and exercising the dual delegation practice, this year’s conference will have up to 460 seats for member states and observer states to its offerings, a high increase to our available seats of initially planned 220 back in 2016 (that ended up expanding to 350 delegates). Along with the Board, Staff and the Organizers, the whole event could surpass the 500 people mark. Adding two organizations, we further enhance our offerings to organizations with high political significance (NATO, OSCE, LAS, MEPC), with democracy and human rights at their core (Council of Europe, OAS, African Union) or strong financial and development aspects (BSEC, APEC), covering a wide range of topics as our agenda will prove. With the addition of APEC, the East Asia and the Pacific are now represented to the conference, which including the observer-states of our organizations it includes almost every country of the world (sorry Nepal and North Korea). This year’s innovation is the joint crisis element that will run conference-wise and will have to be addressed by at least four of our committees. We will foster committee-to-committee interaction, country delegations and a diplomatic experience like no other. A more European affair, the High School edition of RhodesMRC is currently at its 5th edition and is designed to accommodate up to 160 delegates. Further plans are in place, to cope with the demand if such necessity arise, with the opening of new committees. An annual meeting that brings together school students from Greece and abroad (e.g. 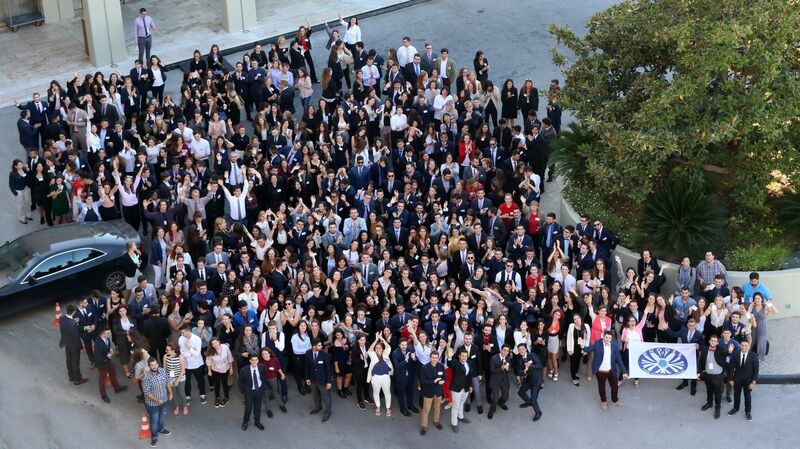 Denmark, FYROM, Germany, Qatar, Turkey, Lebanon), the High School Edition of RhodesMRC 2017 will start to grow on its own, separately from the University Edition, with new dynamics and the full-on attention of the organizers to provide the younger diplomats an amazing educational experience. Applications are now open for the University Edition. Already 1/3 of the available seats are covered after a record breaking early bird period. Discounted fees are still available for both individuals and group delegations till 31/07/2017. Applications for the High School Edition will open on June 01, 2017. More information on how to apply, fees e.t.c. are available at www.rhodesmrc.org.